What is a Mad Science Camp? Mad Science camps offer children a chance to see just how awesome science, chess, and engineering can be! Your child will become a junior scientist for the week, enjoying hands-on fun and imaginative learning with cool activities, spectacular demonstrations, and mind-blowing experiments. Each day of camp is chock-full of exciting indoor and outdoor activities that will keep your child engaged and also keep them active. 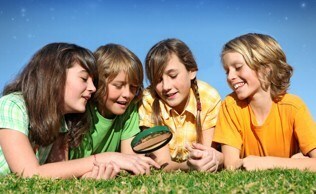 We use an inquiry-based technique that allows even the youngest camper to enjoy learning. Children will design, create, build and assemble a variety of interesting projects and will take at least one project home every day. We provide all required materials and equipment. Children should dress comfortably and come ready to have some fun! Each camp is capped at 20 children maximum, and is staffed by two Mad Science instructors. Each camp day is broken down into four sessions with a break in the morning and in the afternoon for snack time and structured play, plus a mid-day break for lunch and free play. Everyone will go outside during breaks and for some camp activities throughout the day, weather permitting. Please refer to our camp descriptions for details of the daily activities included in each camp. Do you provide a lunch with the 7-hour camp? No, we do not provide any food. Please send your child with a nutritious, nut-free lunch, and a couple of snacks. We also recommend that your child bring a reusable water bottle. All camps are designed for children between the ages of 4-12. Our half-day camps are for children between the ages of 4-6. Yes. We use a buddy system whereby the older children will sometimes help the younger ones. Also, with two instructors in every camp, there is always plenty of help. For most of the activities, the children work in small groups. Most of our instructors are people who have worked for us in our school programs that we conduct in over 200 schools every year. All are mature, qualified, professionally-trained staff members who have experience working with children. One of their main characteristics is their love of working with children! All instructors are trained in-house, are CPR certified, and have clean police reference checks with vulnerable sector screening. How long has Mad Science been doing camps? 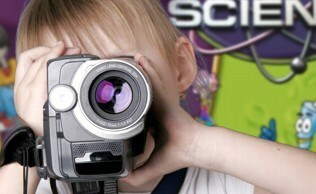 Mad Science has been running Camp Programs in the GTA since 1994! If you would like to register for a camp, please register online at: https://register.madscience.org/toronto/camp-register.aspx. Or contact us by phone at 416-630-5282. Yes. Our online registration system will accept all major credit cards, as well as Visa Debit. Please contact us at 416-630-5282 if you would like to arrange an alternative form of payment. This is the toughest question we get because it can vary wildly. Some camps and dates fill very quickly, while some may have spaces available up to the start date. We recommend that you register as soon as possible. If a refund is requested prior to the start of the camp you selected, a $25 administration fee will apply. After the first day of camp, a prorated refund will be given if a child does not wish to continue. However, you must call Mad Science at 416-630-5282 prior to the start of the second day of camp to obtain a refund. After that, no refunds will be given. If a camp is cancelled due to low enrollment, a full refund will be provided. Yes! Many children sign up for multiple camps. Each one is totally different so that your child can enjoy them all without repeating activities. My child has attended a Mad Science camp before. If he/she took a particular camp number, will it be the same camp that he/she has taken before? Please refer to the camp schedule and descriptions for details of what is being offered this year. We have had a lot of children take a particular camp again and still enjoy it the second time. Plus we have so many different camps, there are lots of opportunities to participate in a new program.